Introduction to Computer Science and Programming in Python is intended for students with little or no programming experience. It aims to provide students with an understanding of the role computation can play in solving problems and to help students, regardless of their major, feel justifiably confident of their ability to write small programs that allow them to accomplish useful goals. The class uses the Python 3.5 programming language. memoryview is a special type that can be used to work with data stored in other data-structures. I think the mypy static type checker is a fantastic initiative, and absolutely love it. My one complaint is that it relies a little too much on subclassing for determining compatibility. This post discusses nominal vs. structural subtyping, duck typing and how it relates to structural subtyping, subtyping in mypy, and using abstract base classes in lieu of a structural subtyping system. 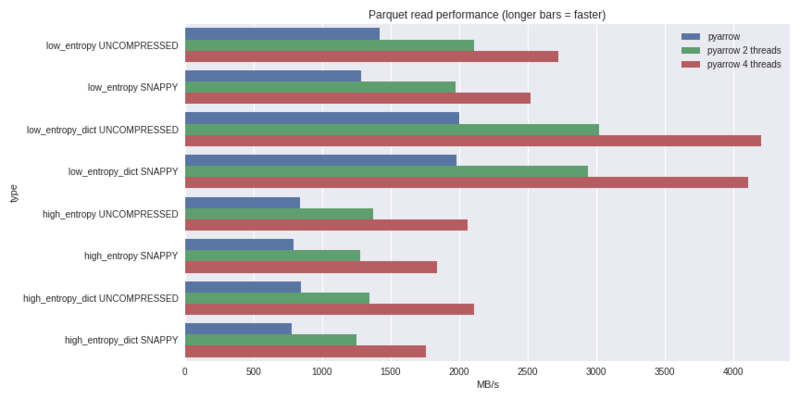 In this post, I show how Parquet can encode very large datasets in a small file footprint, and how we can achieve data throughput significantly exceeding disk IO bandwidth by exploiting parallelism (multithreading). This post describes two simple ways to use Dask to parallelize Scikit-Learn operations either on a single computer or across a cluster. This the 4th part in the series. Basically in this guide we will configure a basic Kafka instance in an Ubuntu environment & write a very very basic python producer & consumer. Ergonomica is a Python-based console language, integrating modules such as os, shutil, and subprocess into a fast, easy-to use environment. It allows for functional programming tools and operations as well as data types that would otherwise require obscure grep or sed commands. Inception, a model developed by Google is a deep CNN. Against the ImageNet dataset (a common dataset for measuring image recognition performance) it performed top-5 error 3.47%. In this tutorial, you’ll use the pre-trained Inception model to provide predictions on images uploaded to a web server. Django round up for this week. The Python programming language default implementation is now on github. Baseline solution to Quora Duplicate Question dataset. A simple proxy make some service heartbeat-able. 170220 Zoom.Quiet 用时 7 分钟完成格式化.